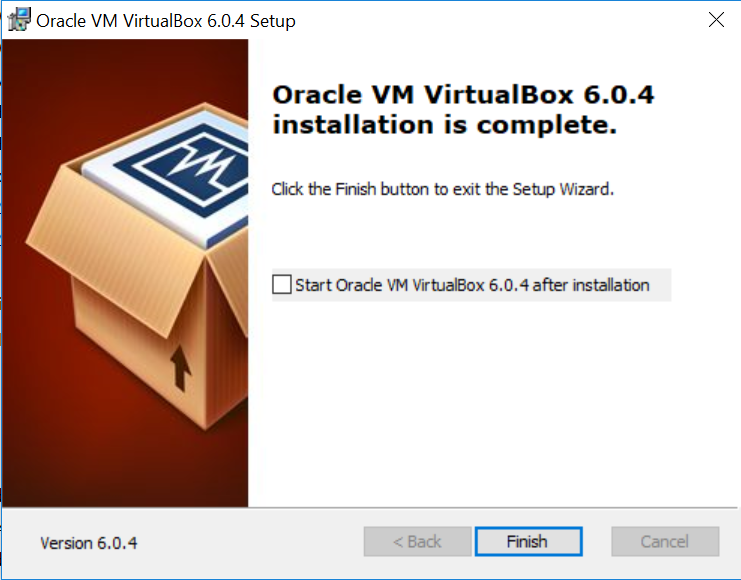 I will explain how to install VirtualBox 6 on Windows in this post. 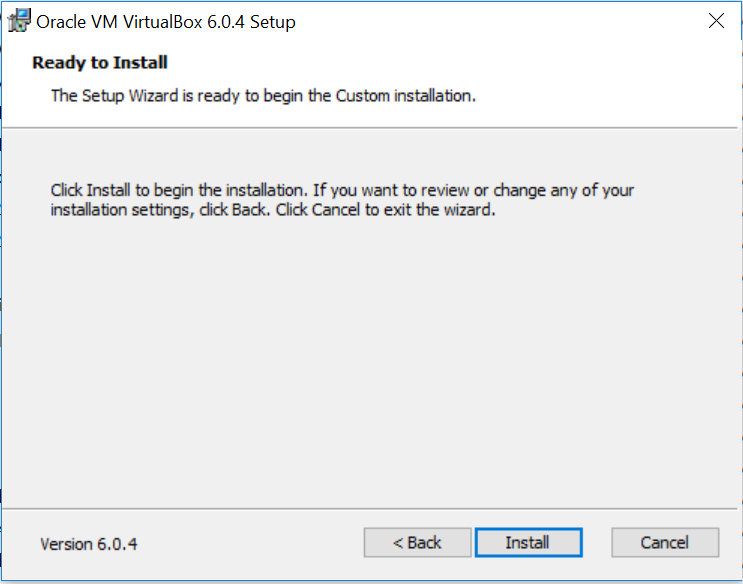 VirtualBox is virtualization software that you can create many Virtual machines ( Linux, Windows ) on that. 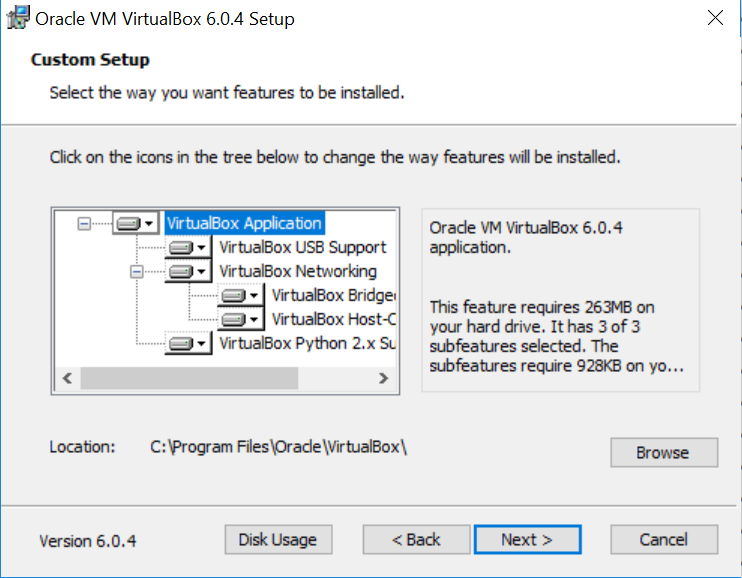 VirtualBox is used mostly among Developer, DBA and Trainers. 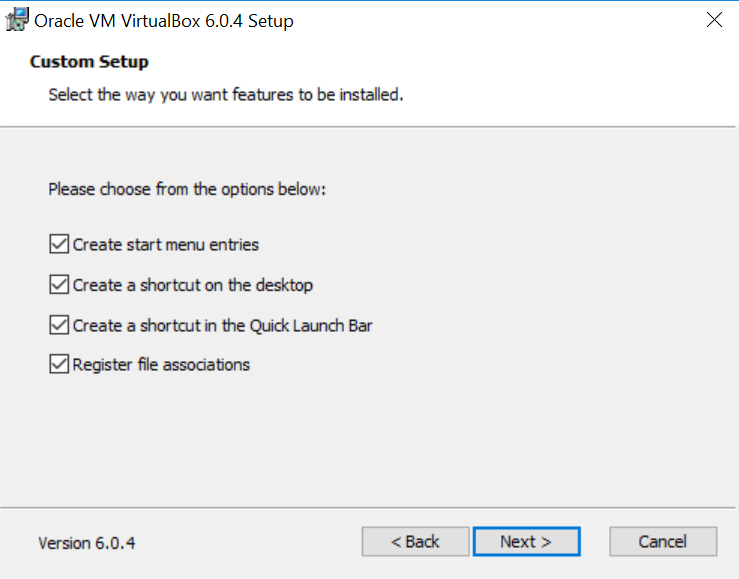 Download Latest VirtualBox from following link. 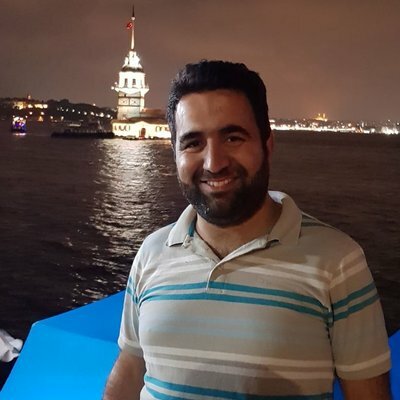 Click setup.exe and start installation like following. Click Next button. Oracle VM VirtualBox 6.0.4 installation will reset your network connection. Click Yes button. 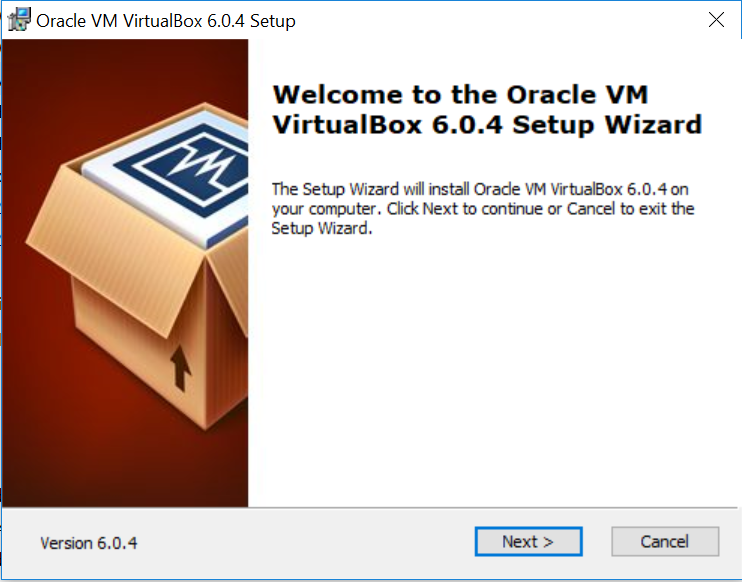 Oracle VM VirtualBox 6.0.4 installation is completed like following.